The second day of NBA playoff action housed four first-round matchups, none of which ended in a statistical upset. The Houston Rockets led a rout of the Utah Jazz via a 122-90 scoreline as the Bucks manhandled Detroit 121-86 in Griffin's absence. The other two clashed involved Portland edging past OKC 104-99 while Celtics took care of business in Game 1 against the Pacers, defeating the Oladipo-less Indiana side 84-74. With all teams having played their first games of the postseason, experts have some remote idea of what might play out in the coming future. While the Bucks and Rockets got statement wins to kick off their campaign, the Celtics and Trail Blazers made sure they got the job done before heading into Game 2. Let's discuss some of the prominent talking points from the most recent postseason clashes of this year. Enes Kanter is averaging more than 13 ppg & 8.5 rpg in Portland. Damian Lillard and the Portland Trail Blazers have been swept in the first round of the playoffs for the past two seasons. Their latest win against the Thunder in Game 1 came after 10 straight playoff losses, tracing back to as far as 2016. Safe to say, having started this year's postseason journey with a win is a pleasant experience for the team. 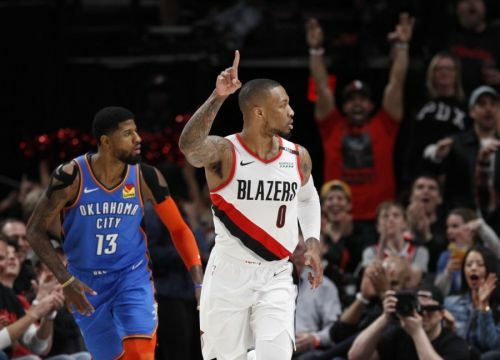 This was a gratifying victory for the cursed Blazers side, but a big chunk of the credit has to be handed to an unlikely hero. OKC traded this talented Turkish center a couple of years ago in an exchange for someone (Melo) who they themselves ended up trading to the Rockets after just a year. 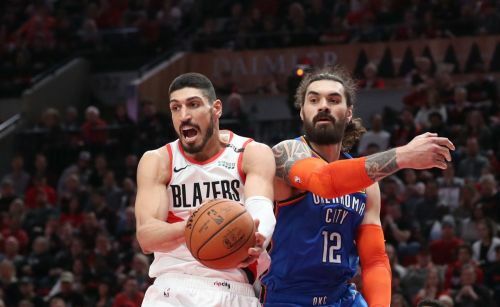 Kanter dropped 20 points - which also included a crunch time layup to seal the game - and pulled down 18 boards in the first of the seven-game series to beat his former team. He shot 8-of-15 from the floor and also record two blocks and a steal on the defensive end.